When trying to figure out a slant for this post Feral said, “We could call it “We didn’t get skunked” but then went on to say, “that’s about the lowest form of bragging.” I had to agree and laugh. 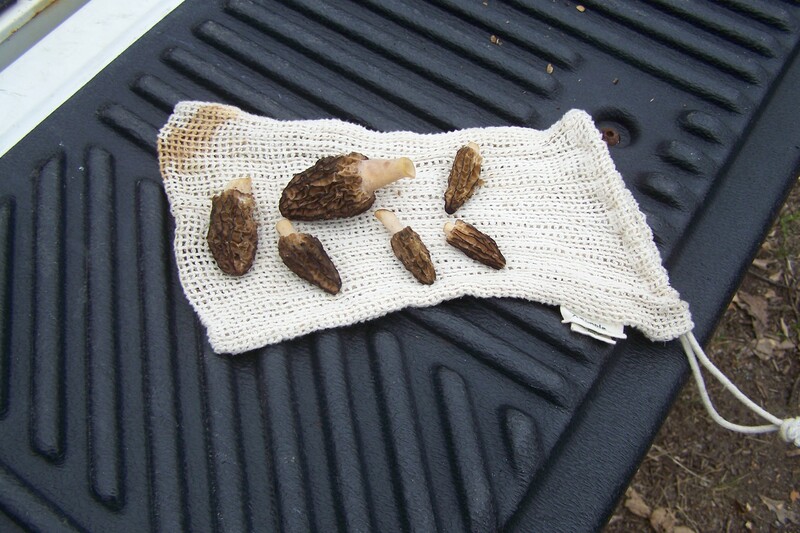 Considering our haul, including morel mushrooms, I’ll try to frame the day in more glorious terms. 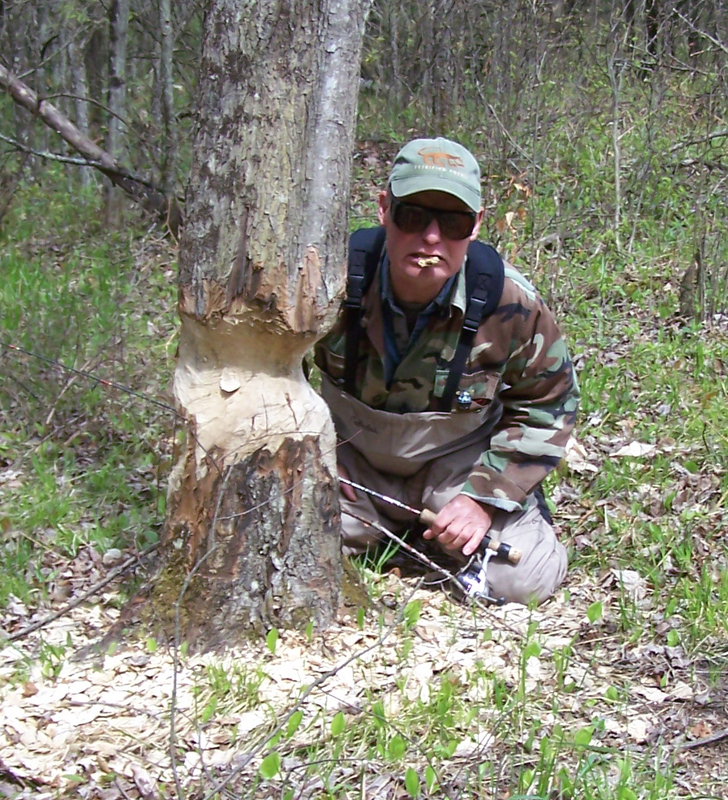 For starters, we pulled nice fish out of busy crowded streams and Feral talked five morels right out of the ground. 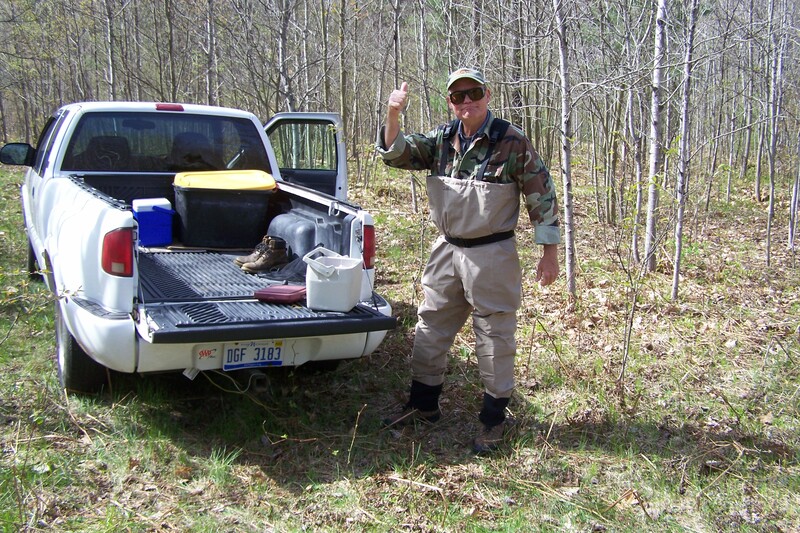 Even more incredibly, get ready for this, our waders did not leak. The measure of success keeps rising. We started up on the Pine River hitting the most inaccessible spot we know and had a group of fishermen walk past us two minutes after we got in. They didn’t start fishing the hole right in front of us so we knew the river gods were smiling on us. The Pine was carrying some mud and wadable and we starting seeing fish right away. I had one about 17 or 18 inches make several passes at my lure, then caught one about 15. After about a hundred yards we had to get out of the stream and could see the group of fishermen working a big deep hole up ahead…so we decided to hit our reliable mushroom spot. Normally our mushroom area has cars parked on both sides of the road but none today, a Saturday, so that was not a good sign. Still, Feral, using magic powers that escape me, started conjuring up some of these delectable treats while I went cross-eyed trying. From there we went down to the Little South Branch of the Pere Marquette and parked between groups of campers. The Little South was high, clear, and wadable and we managed to cut off a fair stretch. Feral caught a good pan fryer and our casting was finally starting to get precision – dropping the lures into congested overhangs and being surprised by the fish we weren’t seeing. 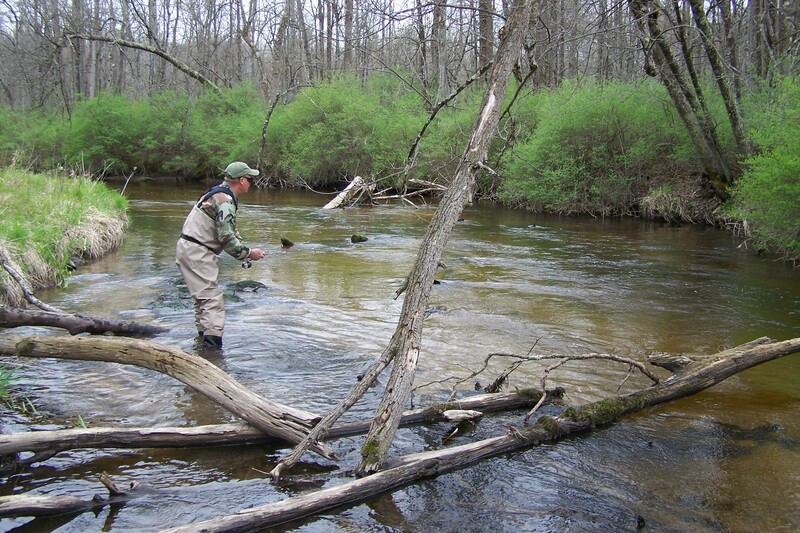 When the Little South is clear as glass the brown trout are buried deep beneath the banks. If you are not risking lures casting into deep overhangs your chances are slim. We wrapped up the day with a cold beer back at the truck. 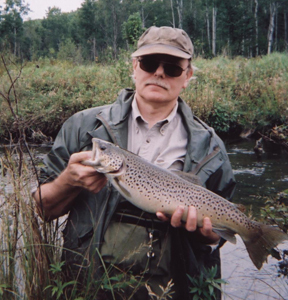 Our “trout camp” weekend is still a ways off but it is hard to let the opener pass by without at least a day trip. No matter the haul, getting out sets the stage for another great year. 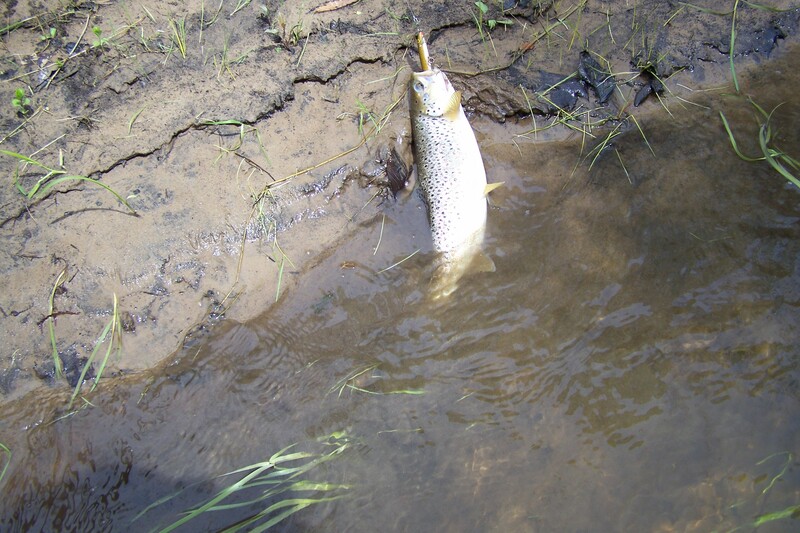 Great to see that there is some pretty decent trout in the Little South Branch. My wife and I are seriously considering buying a small cabin on the Little South and I being new to fly fishing was wondering/hoping that it holds decent trout. Looks promising and even furthers my hope to buy something there. Great post!